One of my many New Years Resolutions is to blog more regularly. I let myself get too busy with a number of things this fall and it was time to say goodbye to some things so I could focus on the things I really love. Now that it's been a few months, I feel like I've found my balance again, so I'm back at sharing my everyday musings with you here in my little corner of the internet. Now to catch you up. 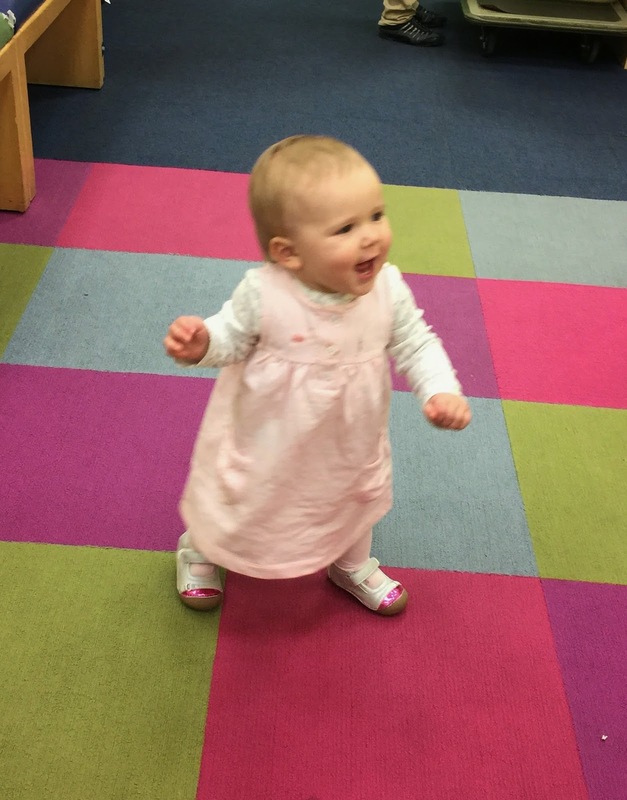 Charlotte's birthday is on Friday and in case you've missed it, she's already walking! These past few weeks, she really got the hang of it and seems to be nearly running away from me now! I used to just put socks on her but with winter here and her needing to get a better grip on the hardwoods, we thought it was time for some good shoes. 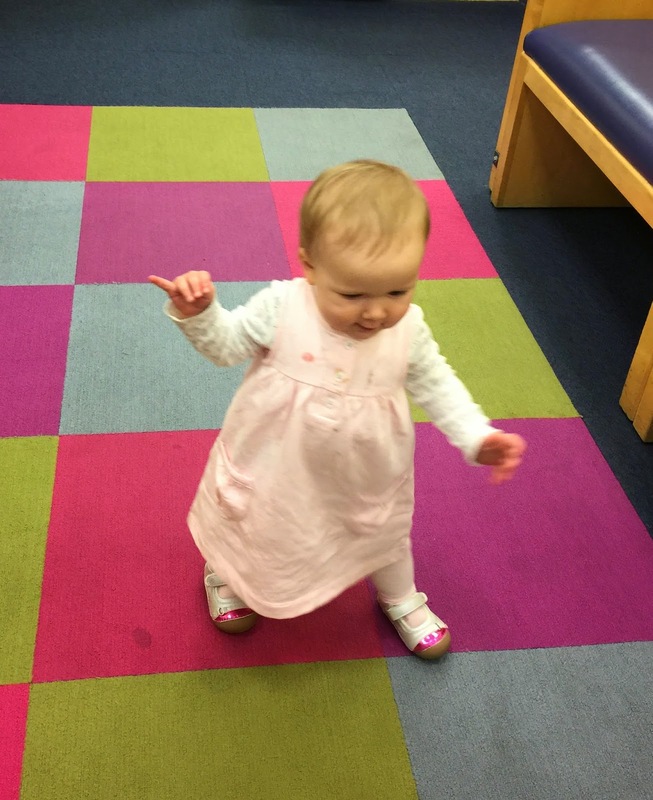 Once Charlotte picked out her shoes, we tried them on and let her take them for a test run. They wanted to make sure her foot was in there properly and that she had no problems walking in them. 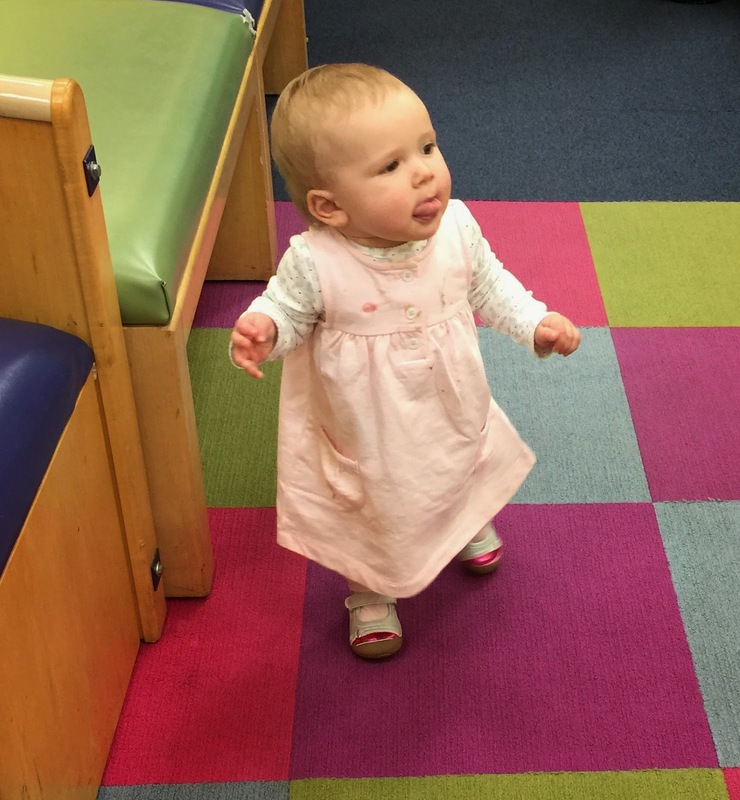 In every other shoe we tried before Stride Rite, she would wiggle out of them so easily because we could never get her foot in them properly. It turns out we were buying them all way too small! I think it's safe to say these were a hit! 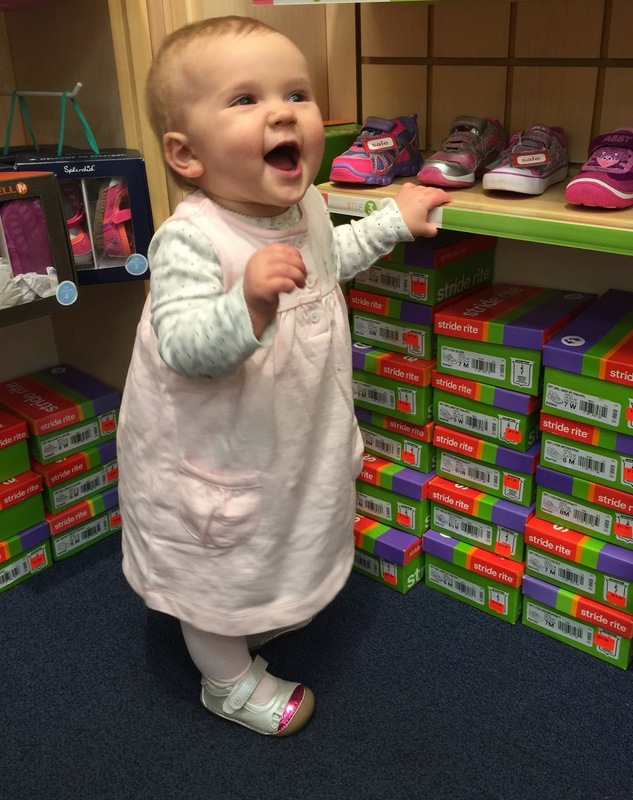 Unfortunately I don't think I will be able to buy Stride Rite's very often due to the price, but I definitely recommend them as one of your baby's first pair of walking shoes because you can be sure you are getting a good quality, sturdy shoe that is sure to fit. *These opinions are 100% my own and I was not paid or reimbursed in any way by Stride Rite to write this post.